The Mothering Coach | Teaching the Art and Science of Parenting! Here is some good advice from one of my readers, Kendra Thornton, a mother of three and a former Orbitz Director of Communications. 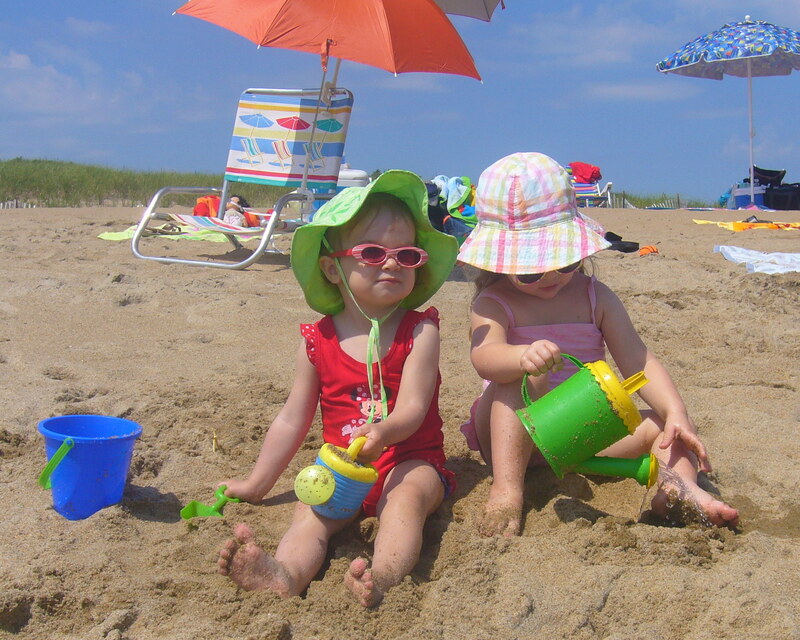 The summer traveling season is upon us, and if you are packing the family up for an adventure this summer, then you know there are parts of vacation that we have little control over. To make sure my family stays safe and healthy, even in the midst of uncontrollable circumstances, I make thorough lists, a flexible schedule, and I take these 5 things into consideration when planning a trip with my young ones. Avoid unhealthy eating disasters by ensuring your family eats a good-sized, healthy breakfast. Pack your own snacks and lunches to avoid kids wanting the junk foods. It is less likely they will eat at the theme park, saving your healthy habits and your money. Even when you have to make those on-the-go purchases you can still make healthy decisions when you are eating fast foods! Make children as comfortable as possible for a good night’s rest. Bring their favorite blankets, pillows, and stuffed animals with you. Make their sleep environment more like home by traveling with their noise or sleep machines, nighttime music, and their favorite books. Keep in mind that certain destination, such as many Orlando hotels in Walt Disney World, offer quiet hours to ensure families get the proper and a seamless nights sleep! Travel, especially by car, means children get very little exercise, but it is easy to incorporate exercise into a long car ride by making frequent stops at parks or rest areas where children have an opportunity to run and play. It is the perfect way to get their wiggles out before getting back into the car where you can enjoy a more peaceful ride. According to Dr. Charles Gerba (aka ‘Dr. Germ’), an environmental microbiologist at the University of Arizona, you will encounter more germs, especially E.coli, on an airplane than anywhere else. To avoid germs do not wash your hands in the bathrooms, where E.coli is most prevalent, and instead bring a bottle of hand sanitizer to use. Make sure your schedule is flexible by allowing extra time for your activities. Nothing is worse on vacation than feeling like you have to rush. The extra time gives you a cushion for time-sucking tantrums, toilet stops, toddler stalling, and unplanned explorations. Traveling with kids is always an adventure, but it does not have to create stress. Plan, but plan with flexibility and your family’s health in mind. By taking into consideration nutrition, sleep, exercise, germs, and scheduling before you begin your vacation, you will ensure a more fun, healthy, and safe trip. A recent article in the New York Times, “Friends for Life? Wait Til Kids Enter the Picture,” highlights conflicts that can arise when friends take different approaches to parenting. For years, I have seen tension and clashes between friends, family members, and partners over parenting approaches. The issues can be attachment parenting vs. sleep training and schedules, or working mothers vs. stay-at-home mothers. Parents today can become very polarized and rigid over these kinds of differences. They may feel that if they deviate from their chosen approach, even a little bit, a catastrophe will occur or their child will be scarred for life. There are parenting books that support any approach you can think of -which is confusing to parents. In most cases, we parent the way we were parented -or in reaction to the way that we were parented. Everyone has different early experiences that color their beliefs. As a coach, I work with parents who take many different approaches. I have seen that there are good parents raising healthy, happy children who have used a wide range of parenting styles. There is not a single right answer (even though I have my own point of view). My approach is to encourage each parent to find out what works for them, their partner, and their children. If your parenting approach is adding to your stress levels and producing guilt, rather than contributing comfort and ease, then you may want to re-evaluate. Having the parents be calm and happy, and able to follow their baby’s cues, will lead to a better outcome than rigidly practicing some particular approach. It’s important for parents to learn about parenting and make conscious choices, but also to follow their instincts and be flexible. Arguing with your children is frustrating and a huge waste of time. Not only do you get frustrated by it, but your kids do to. Use these five simple tips to avoid arguments and promote peace in your house. Choices – Limiting choices is a simple way to avoid arguments. Yes, you should let children choose to give them a sense of control over their lives and train them in making proper choices, but when you give a child too many choices all it does is create confusion and make them think you are no longer in control. Two choices are plenty and will help to cut down on arguments. No promises – Life doesn’t always turn out the way you plan. You know that as an adult, but kids don’t get that concept. In order to avoid breaking promises when things come up, just don’t make promises to your kids. Instead of telling them that you will stop for ice cream on the way home, tell them you might, but only if everything goes smoothly and you have time. That way they know the better behaved they are, the more likely it is they will get to do what they want. A double incentive to try this trick! Start early – It is tempting to do everything for your kids. After all, you can do it faster, better, and with fewer mistakes. But if you do everything for your kids they’ll end up lazy and irresponsible. Instead, start them out young. Even toddlers can help take out the trash, dry dishes, etc. If you get them young they won’t fight you so hard when they are older. Keep it simple – Adults overcomplicate things. They think the bigger, faster, and more expensive toy or trip is always better. But to kids, they love the box just as much as the gift that came in it, if not more. Remember to keep your gifts and your plans simple. Both you and your kids will have more fun if you are not stressed and they are not over stimulated. Plan – Making a plan is one of the hallmarks of a good parent. Kids need to know someone is in control. If it is not you, it will be them. Avoid a struggle for control by having a plan. But make sure you are flexible. Like I said earlier, not everything will go smoothly. Just know what you have to do, what you’d like to do, and what can be shifted to later. You and your kids will enjoy the control planning ahead gives you. The concepts are not hard, but they do take effort. You can’t just let the cards fall where they may. You must put some thought into avoiding conflicts if you want a happy, peaceful home. Try to implement these five tips and see what improvements you can make in your home. This is a guest post by Coleen Torres from phone internet. You can find more about her at her http://www.phonetvinternet.com/insider/coleen-torres/. It seems a bit laughable to say that a delivery could possibly be worry free, but with a bit of preparation, planning, and initiative, an expecting mother can concentrate on her delivery, knowing that everything at home is taken care of. Before it’s time to start counting the minutes between contractions, making a list of things to do and ensure they are taken care of before the big day arrives may help reduce stress and anxiety. If necessary, enlisting the help of friends and relatives will make the process go much more smoothly. Prepare a schedule of help with the assistance of friends and family to determine who will take mom to the hospital, be there for her in the delivery room, finish up whatever wasn’t completed before the big day, bring her home, clean the house, prepare or deliver meals, help with the baby, act as an overnight care nanny so Mom can sleep, etc. Ask friends who have had babies what they wish they’d had when they brought the baby home. After delivery, a great support system with help from friends, family or even hired help can make the transition for the new Mommy easier and help her get plenty of rest to recover and bond with her baby. Giving a new mom emotional support and reassurance is also essential in the weeks following delivery to help her feel secure in her new role as a mother. Want your child to go to college? Get some books. It is widely understood that having educated parents increases a child’s success in school. A new study shows that having lots of books in your home is even more important. This factor is even more important than the parents’ level of education. Mariah Evans, a sociologist from the University of Nevada at Reno, studied 73, 000 people in 27 countries and found that when more books are in the home, children receive an educational boost and are more likely to move ahead in school. A child in a home with 500 books achieves three more years of education than a child with similarly educated parents who had no books in the home. There was some benefit with as few as 20 books. “You get a lot of bang for your book,” said Evans. Start reading to your babies early –when they are in the womb — and keep it up. 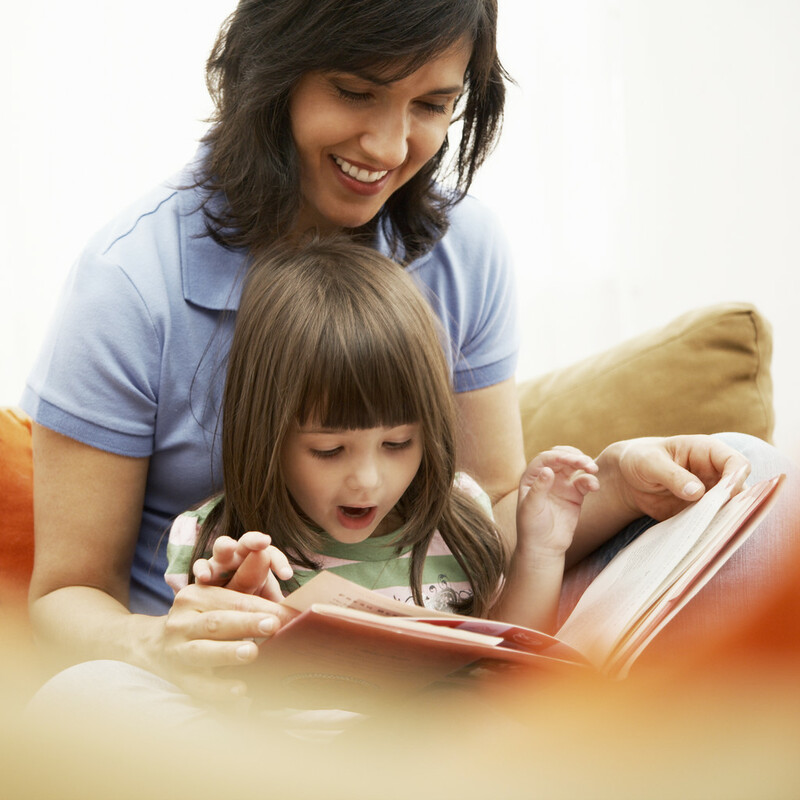 Nightly reading before bed is an important routine that enriches a child’s imagination. Reading and being surrounded by books is great for the whole family! Do you know that our babies in utero pass more biological milestones than at any other period of life? This is the scientific conclusion of Peter Nathanielsz, MD, PHD, who has conducted extensive research for the new field of prenatal programming, which he calls “the new science of the womb.” In his book, The Prenatal Prescription, he emphasizes that health professionals and the public need to know the causes and consequences of healthy versus non-healthy pregnancy. Suboptimal conditions can cause fetal development to go awry, particularly with the brain and nervous system. 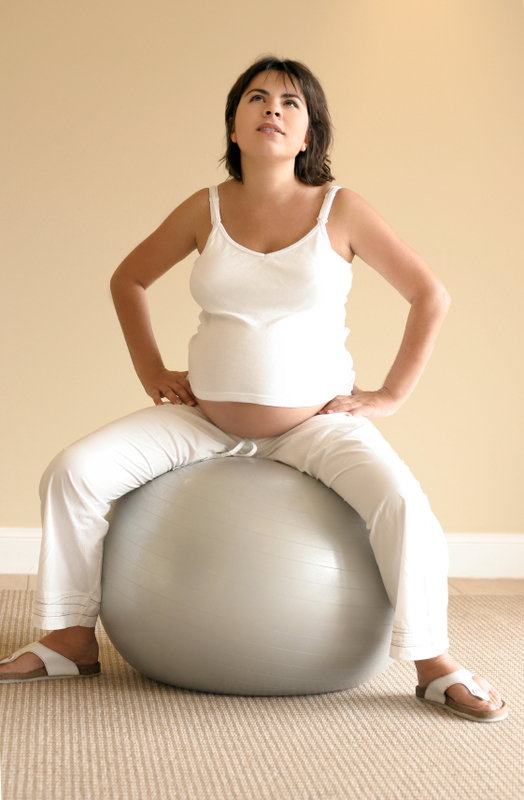 What do expectant mothers need to consider? All of the baby’s organs are developing in the first trimester. Exposure to toxic substances and chemicals, flu, alcohol, cigarettes, many medications and high levels of stress can impair the baby’s physical health, with impacts that can continue into adulthood. . The mother’s health is the single most important factor influencing her baby’s earliest development. She needs to pay attention to the quality of her health and nutrition during her pregnancy and before conception. Do you know that boys require more nutrients as their cells grow faster than girls do? Thus be aware, stay active and fit, keep your stress lowered, eat well and enjoy being closely connected to your baby in womb. An expecting woman needs to be careful about what she is exposed to, what goes into her mouth and even on her face! I recommend that pregnant women go on to the website http://www.drugwatch.com/to check out the effects of various medications. For example, a medication for acne called accutane can cause birth defects and prematurity. It is harmful to take antidepressant medications during pregnancy without medical advice. Prevention is the goal to optimal infant development. Although genes play a factor, the mother has the responsibility to consciously and conscientiously create a healthy womb and placenta where nutrients, love and hormones are circulating for the benefit of infant physical and psychological well-being into adulthood. When you have delivered a premature baby or twins/multiples, you face a whole new set of challenges. Many mothers contact me when they are overwhelmed by these kinds of “parenting plus” issues. They feel unprepared and are have few resources from the hospital or community. It is very important to reach out for psychological support before you become completely stressed out from trying to cope with these new life transitions. Your babies pick up on your anxiety and tension and react accordingly, which can become a vicious cycle. If you consciously self calm and relax, you can begin to relieve their stress as well as your own. Many of these babies are themselves traumatized from having so many intrusive and disturbing medical interventions. Crying may be their way to express the hurt and pain. By talking directly to them about what happened and acknowledge their feelings, you can help them let go. Soothe, rock and hold your baby. Provide lots of skin-to-skin contact to relax the baby. Slow down all interactions with the baby(ies), as their immature systems cannot integrate well. Do not over-stimulate them. Avoid sleep schedule training; these children especially need to feel attached and comforted. Some irritability and sleep disturbances are normal for these babies. Sing to your baby, play music, interact, read stories and play. Spend extra time just connecting and being together. These ideas will help you ease your children into the world, while sustaining your emotional balance and composure during a stressful time.